GODZILLA: KING OF MONSTERS Second Trailer is Better Than the First! So the first trailer for GODZILLA: KING OF MONSTERS just made you feel good with this sort of 90s whimsical Spielberg kids’ movie vibe. It is the sequel to the 2014 GODZILLA with Bryan Cranston, which may have been utterly forgettable for a lot of people, including myself. I’ll say that KING OF MONSTERS is looking pretty darn cool, though! It makes me happy to see that Ken Watanabe has reprised his role in this movie. Something about that guy, though. I wonder if he hangs out with Keanu Reeves and Dorian Grey while they drink the blood of virgins and have paintings of themselves hidden somewhere in their homes because he seemingly never ages! The director Michael Dougherty co-wrote the script for GODZILLA: KING OF MONSTERS with Max Borenstein. Borenstein is already involved in a new GODZILLA VS. KONG movie that we’ll see in 2020! Will they shoot different endings for the US and Japan as they did for the original? 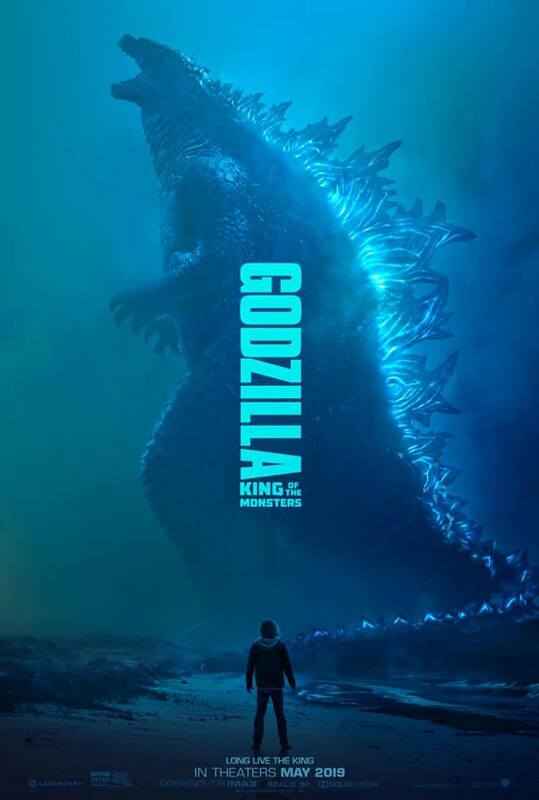 Catch GODZILLA: KING OF MONSTERS May 31st, 2019! How awesome is this trailer, you guys? What’s your favorite part? How did you feel about being advertised Dunkin Donuts in the process?